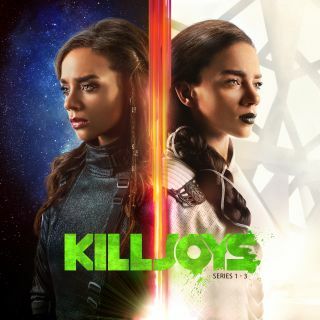 The first three seasons of Syfy's "Killjoys" are now available on the streaming service VRV. "Killjoys" fans, rejoice: Your favorite trio of space bounty hunters is now reliving its adventures on the streaming app VRV. The app, which launched in November 2016, is a streaming service dedicated to "the best in anime, gaming, tech, cartoons + more," according to its website. It is currently available only in the U.S. The site includes other space content, too: Many space and science documentaries are provided through the CuriosityStream channel; several space-based anime series are available, and the service also has all the Stargate shows and movies (through a partnership with Stargate Command All-Access). The next episode of "Killjoys" Season 4 premieres tonight (Aug. 10) on Syfy at 10 p.m. EDT/9 p.m. CDT.